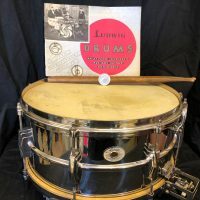 Another extremely rare drum in extraordinary condition (my specialty!!). 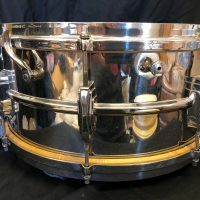 Only a very small number of this limited edition Ludwig Silver Anniversary 6.5×14 Supersensitive Model snare drum were ever made. The drum was made to commemorate the first 35 years of the legendary drum makers history. 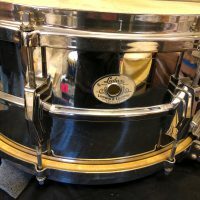 This is one of just a handful of these drums known to still exist and definitely the cleanest one I’ve gotten my hands on. 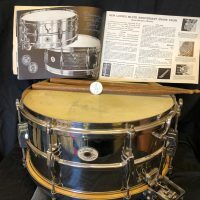 The drum is featured in the Ludwig 1935-36 silver Anniversary catalog. 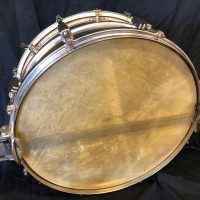 The drum features an all brass shell with 2 parallel throw offs, one on each head. 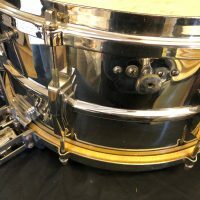 The drum s in near new condition. 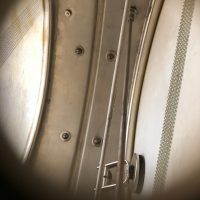 The only flaws to report are some extremely light scratches and pitting in the shell and a very slight indentation in the shell at the muffler control. 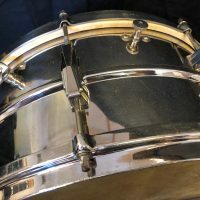 The calf heads are both in excellent condition and appear to be original to the drum. 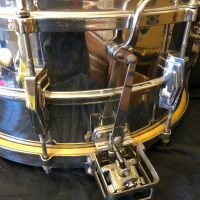 The photos depict the condition of the snare accurately. 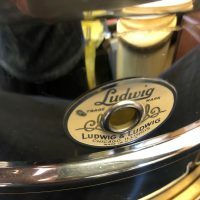 Included with the drum are a pair of early Ludwig sticks and an original complete 1935-36 Ludwig Silver Anniversary catalog in excellent condition. Silver Anniversary coin in the photos is not included. PRICE: $3,495.00. Serious offers considered.